Those responsible for the crime are in the police, because the road where the dead body was found, in an area of the Chiguayhueregion of La Araucanía, is part of a reclaimed area of indigenous land, under permanent police control. The crime has brought Melinao’s family and neighbours together, his death, at the age of 26, was due to the firing of a shotgun at a young Mapuche and has once again highlighted the conflict between the Mapuche people and the Chilean State, who is considered to be indebted to the indigenous population. However, police headquarters deny that any of their officers is involved in the murder, because there are no signs of the use of weapons or police procedures that link an officer with the crime. “The police killed my brother”, insisted Hugo Melinao, who affirmed that the road where the body was found “is only used by police, it’s a police road”. The victim’s brother demanded that, in the same way that the so-called anti-terrorist law is used against the Mapuche, that same procedure should be used to sanction those responsible for the murder of Rodrigo Melinao. After several days on the run from the police, having been declared in hiding, the young Mapuche was found dead this Tuesday in a plot of ground in the Chiguayhue area, in the Pidima district, part of Ercilla, about 700 kilometres south of Santiago. Melinao was sentenced to five years imprisonment for setting fire to forest estates in the region, but his defence had lodged an appeal to overturn the sentence. At the end of July, the Special Rapporteur for the United Nations on human rights and counter- terrorism, Ben Emmerson, called on the Chilean authorities to abstain from applying anti-terrorist law in connection with land claims by the Mapuche people. On concluding his first official visit to Chile, the expert also exhorted the government to make the Mapuche question one of the main priorities for national political dialogue. Emmerson warned that “the anti-terrorist law has been applied in a disproportionate way against accused Mapuche, and has been implemented without any coherent and objective policy to distinguish those cases that come within its remit to determine those acts that are terrorist from those that are not”. Likewise, he considered that the law must not have impunity in crimes committed during violent protests, and that victims’ rights must also be adequately protected, saying that “anti-terrorist legislation has been used discriminately against the Mapuche. ”He also specified that the legislation has been applied in a confusing and arbitrary fashion, which has resulted in real injustice, has reduced the right to a fair trial, and has been perceived as a factor of stigmatisation and de-legitimisation of Mapuche land claims and protests. He recommended to the Fiscal Office that they use common penal laws to investigate, process and punish this type of violence. On his visits to the regions of Biobío and La Araucanía, the UN independent expert observed an “extremely volatile” situation, in part due to the inadequate use of the anti-terrorist law, in the framework of which he called an “inexcusably slow” process of ancestral land restoration. “In the absence of any rapid and effective action at a national level, this situation could quickly escalate and turn into disturbances and wholesale violence”, he warned. The Rapporteur also urged the Chilean authorities to make the Mapuche question one of the main priorities for national political dialogue, to urgently promote the adoption of a National Strategy in relation to the problem. “The solution to this conflict must be the political priority for the next Government,” he stressed, after having received numerous complaints about the excessive use of violence by the police against indigenous communities, some of which have been confirmed in judicial procedures. The accusations include shot wounds suffered by the elderly, women and children. In spite of the existence of checks and apparently admissible judicial findings, the Special Rapporteur received information that these were not followed up by a penal process. In the last few days, mayors from the Chilean region of La Araucanía united vocally to call on the Chilean government to answer the historical debt it has to those communities, especially the devolution of ancestral lands. 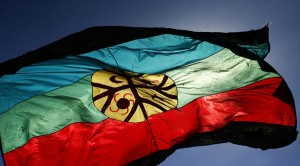 “We represent the thoughts of our people,” expressed the mayor from the Ranaico commune, Juan Carlos Reinao, who considered the current scenario as a new opportunity for the Chilean government to allow itself to converse with the municipal authorities led by Mapuche representatives, to listen to what they believe and want. As well as Reinao, the mayors Fernando Huaiquil, from Galvarino, Luis Huirilef, from Chochol, Juan Paillafil, from Saavedra, and Abel Painefilo, from Curarrehue have spoken up. Reinao insisted that the alliance of mayors, who must give rise to the Mapuche Municipalities Association, try and give a sign to demonstrate to the State and Governments in turn that there is going to be a united front. The mayors agreed that, through having Mapuche roots, the representatives of their communities are much more greatly discriminated by the State institutions, including large swathes of the country’s media, who have volunteered to it, who call the representatives terrorists, and incapable of representing themselves. The mayors also called attention to the destruction of natural resources undertaken by firms in the La Araucanía region, and reported violations to treaty 169 of the International Labour Organisation, who have established the need to consult the communities in the face of any planned project in its regions. The Mapuche are one of the most important native ethnicities in Chile, as much through their social and demographic weight as through their strong sense of cultural identity. According to historians, concluded in the second half of the 19th century, the Chilean government designed a plan to occupy Mapuche lands, led by the Army, in the so-called “La Araucanía Peace Process”, to the extent that the community was conquered militarily in 1883. Three years later the Congress created the so-called Radicalised Commission, which in the end facilitated the illegal occupation of private estates, with the result that the indigenous people now only possess 500,000 hectares, a much smaller area compared with what they had originally. During the Agrarian Reform by Eduardo Frei Montalva and with more force in the years of the Salvador Allende (1970-1973) government, they managed to recover more than 80,000 hectares, but following Augusto Pinochet’s Coup d’Etat, the community suffered a new reverse, since the army could end collective ownership of the land, and with it dismantle one of its cultural bases.